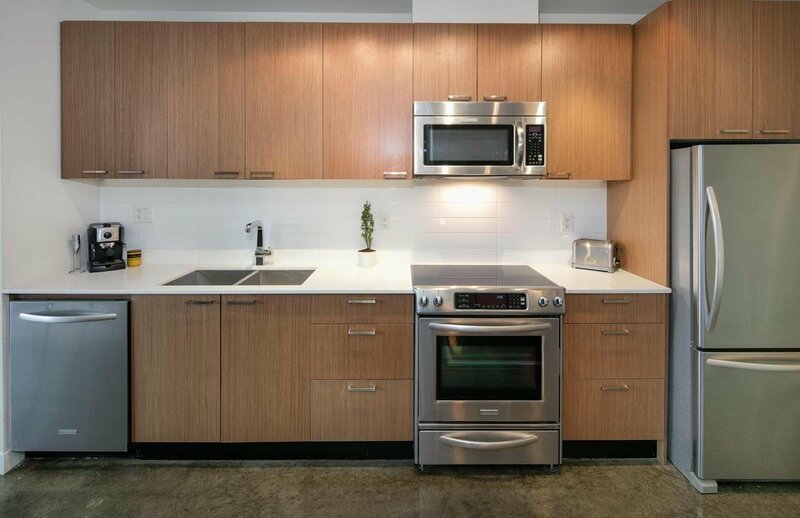 Welcome home to the V6A! 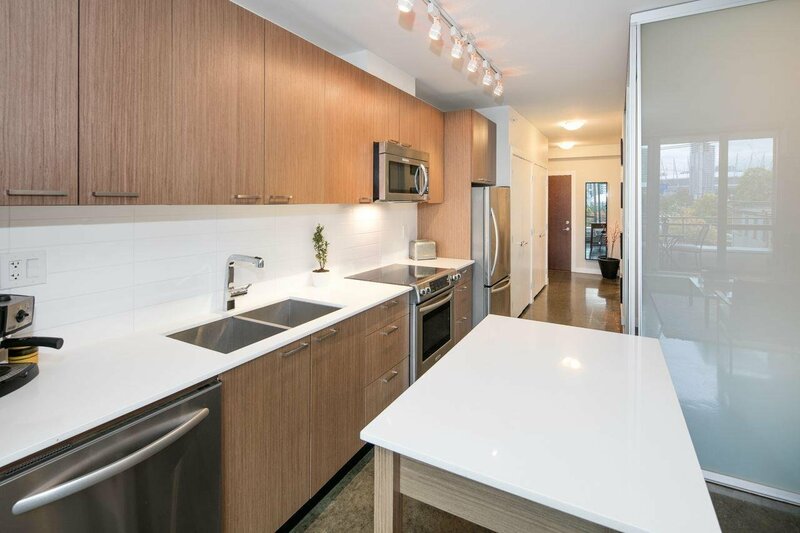 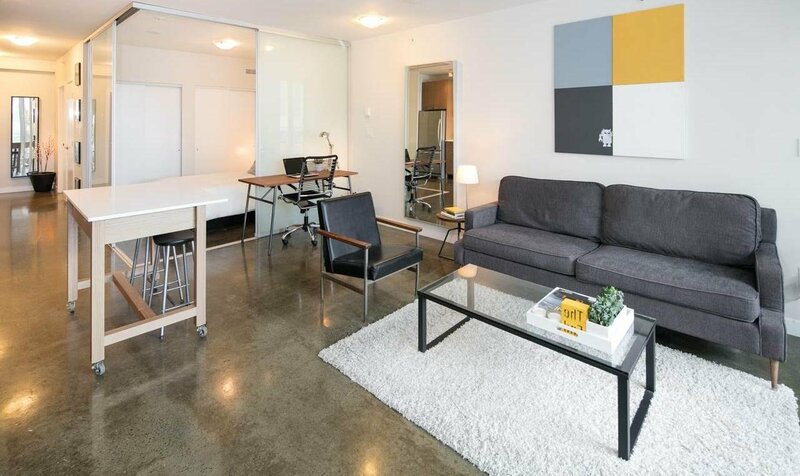 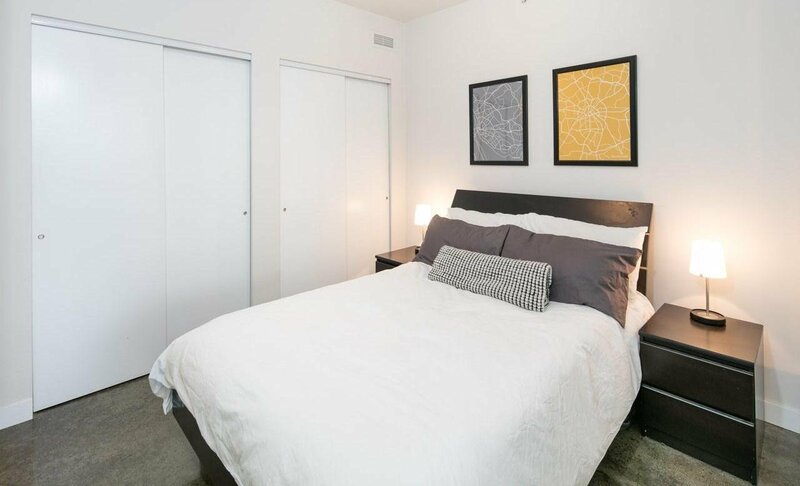 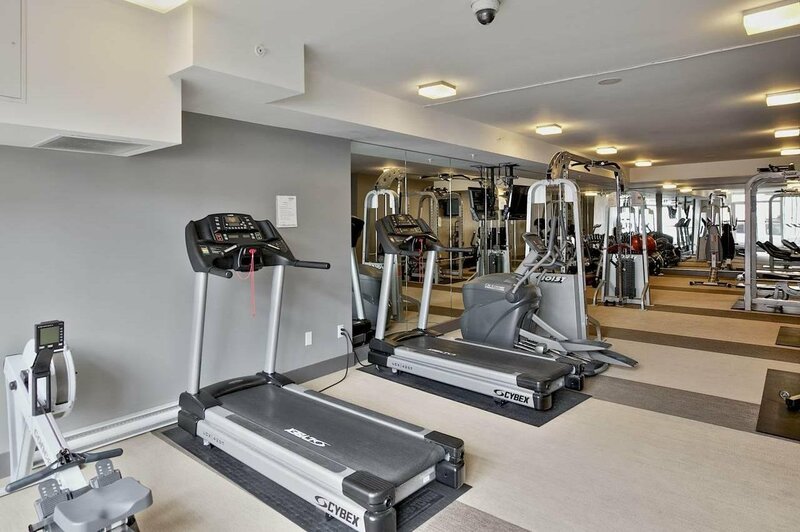 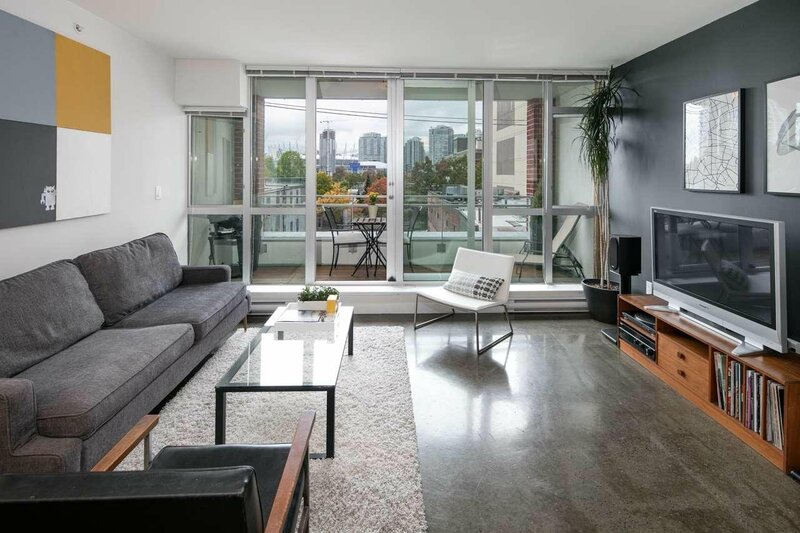 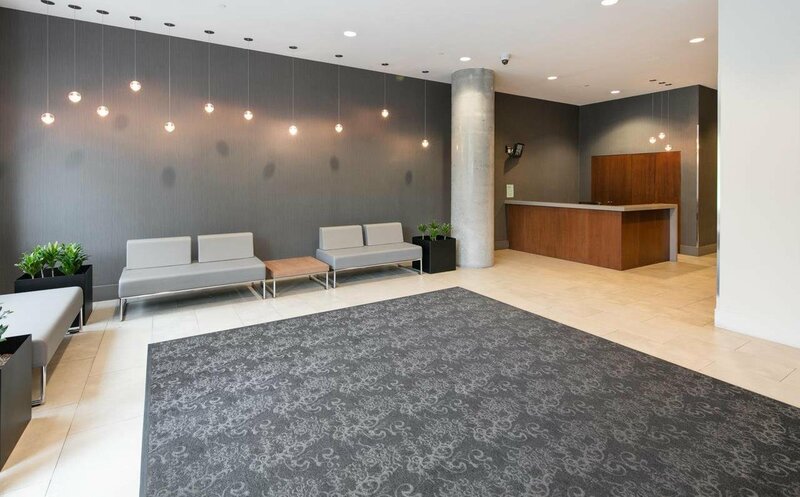 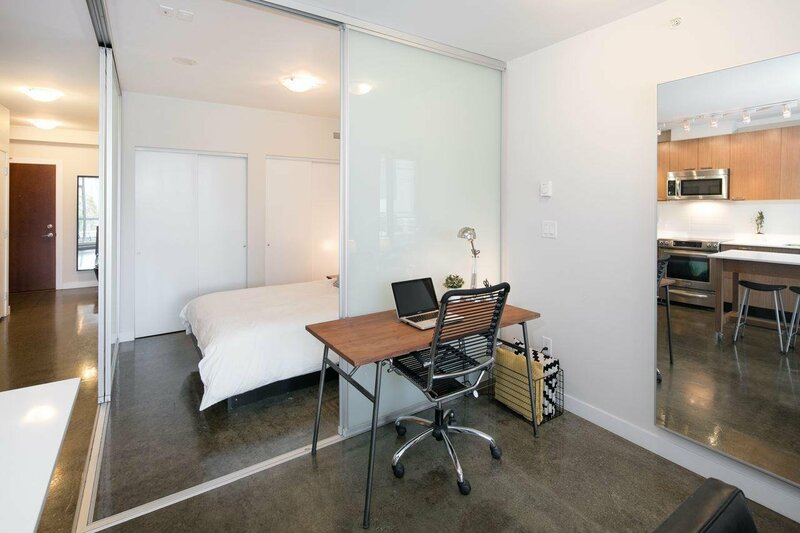 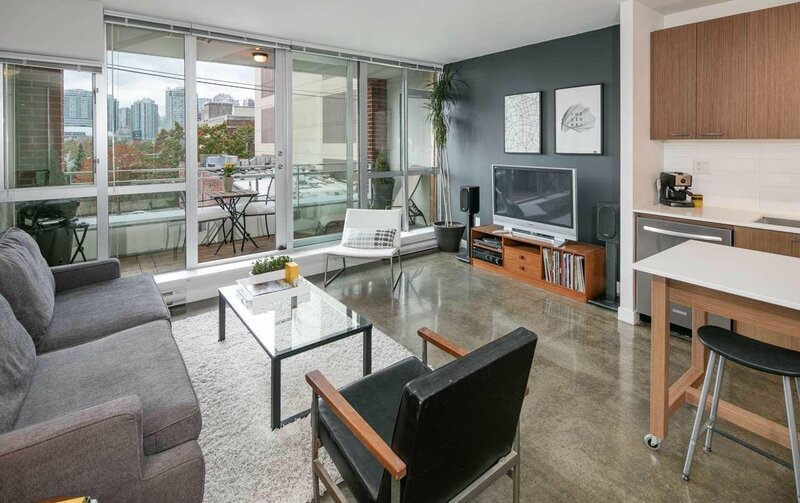 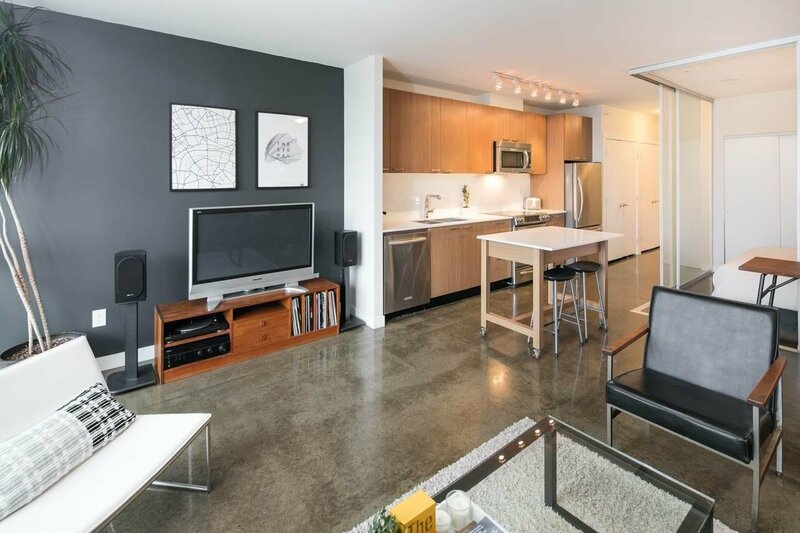 You'll love this modern, clean, W-facing, one bed condo with an open concept floor plan. 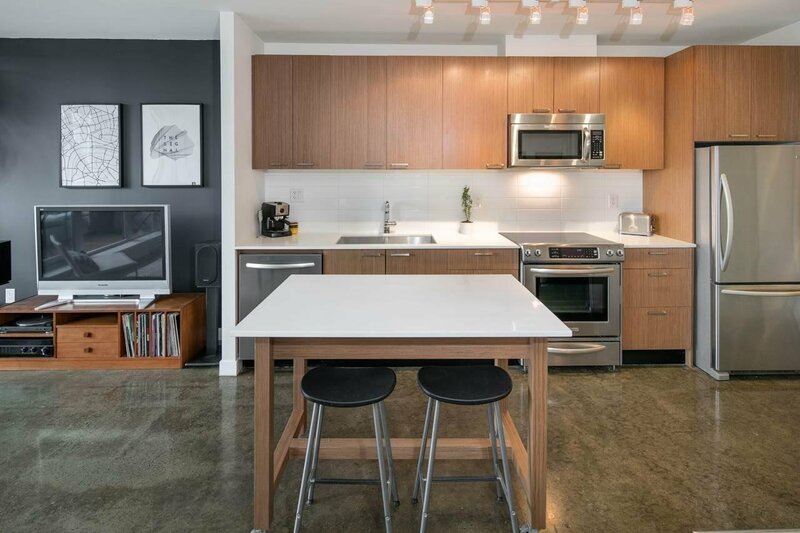 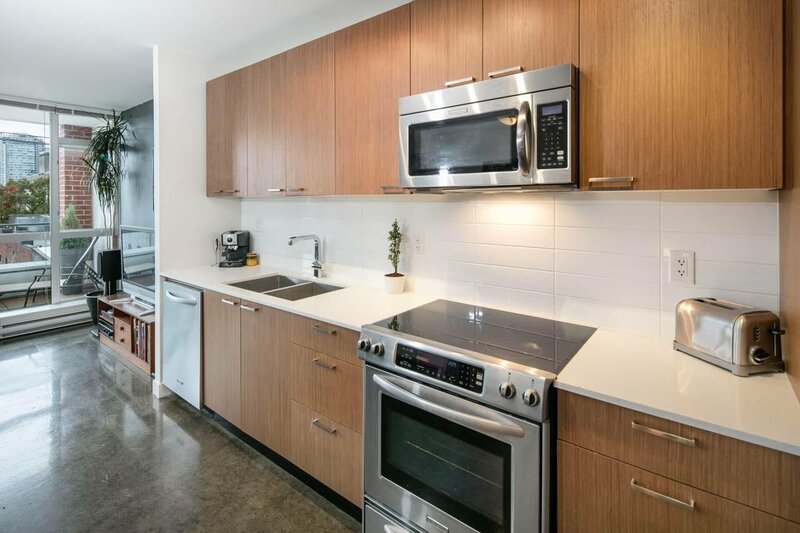 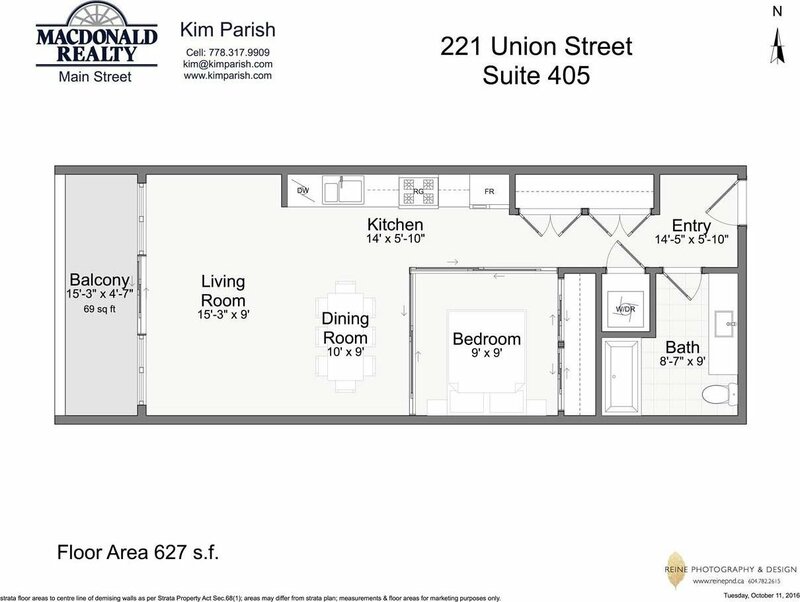 Polished concrete floors, overheight 9' ceilings and sliding opaque doors for the bedroom give it a loft-like feel and the full sized, stainless steel appliances in the kitchen allow you to entertain with ease. 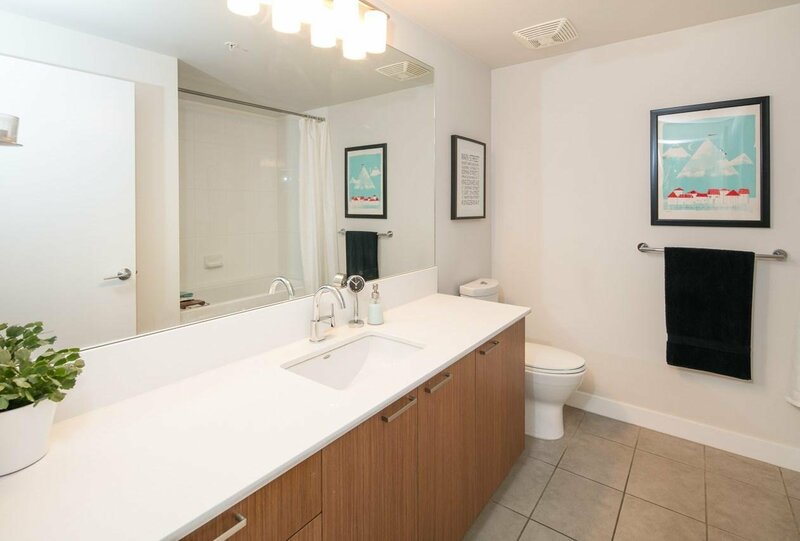 The bathroom offers up a deep soaker tub and loads of counter space and storage. 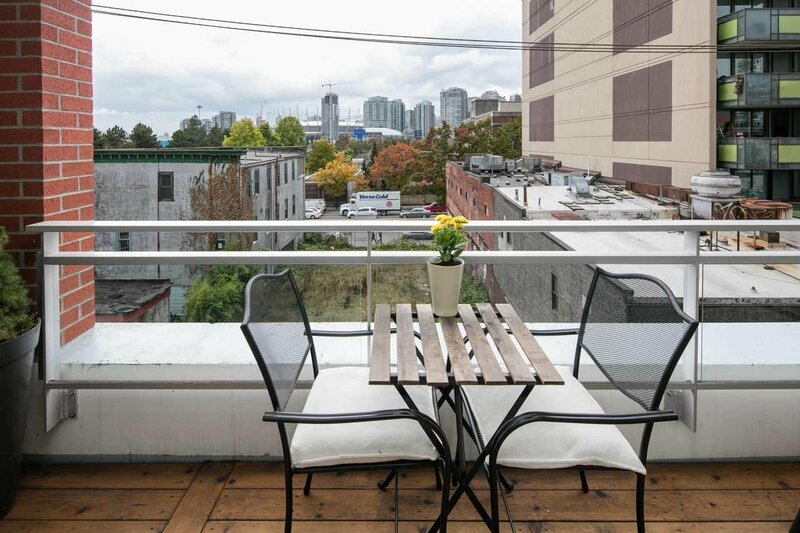 Relax on your generous balcony while you enjoy the sunset. 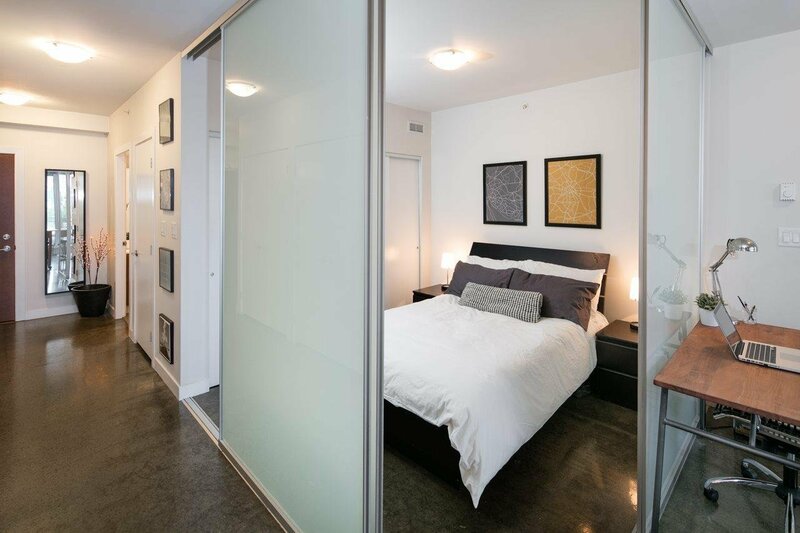 Never miss a delivery, as there is a concierge for your convenience. 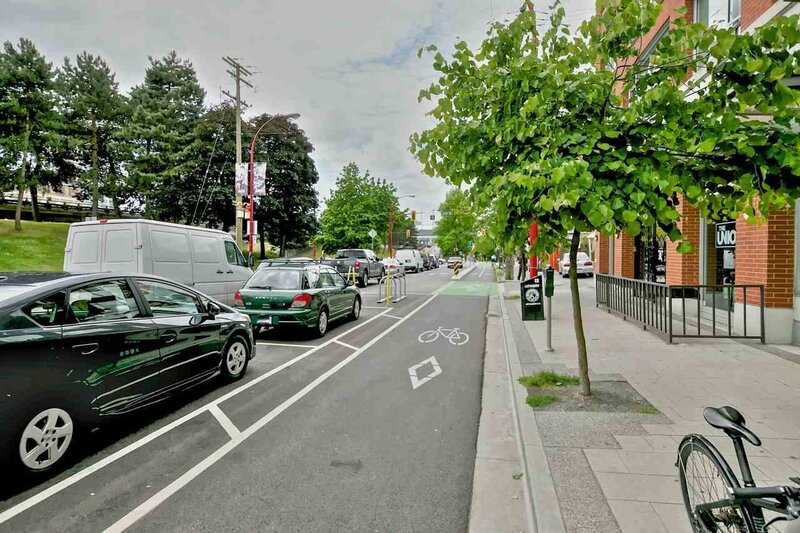 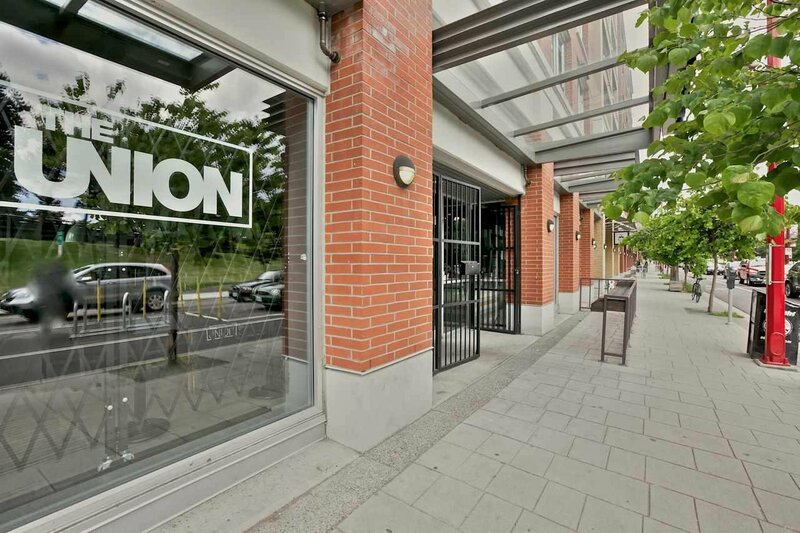 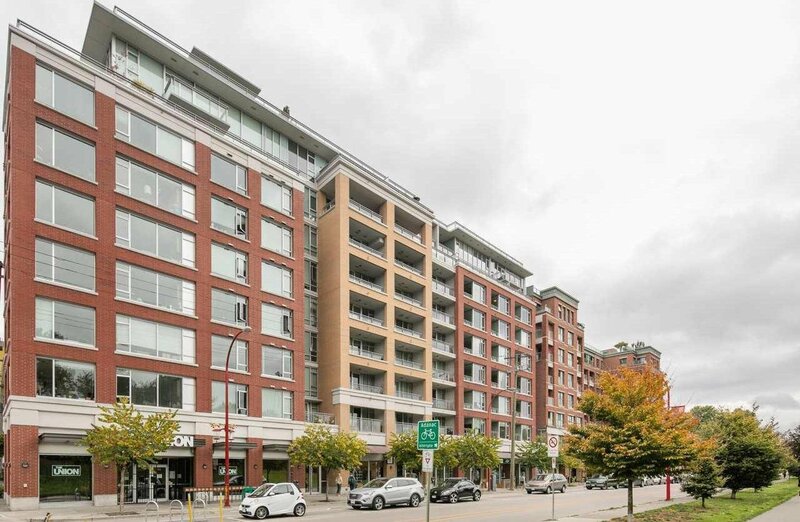 Fantastic, walkable Mount Pleasant location on the edge of Chinatown, close to skytrain, shops & restaurants. 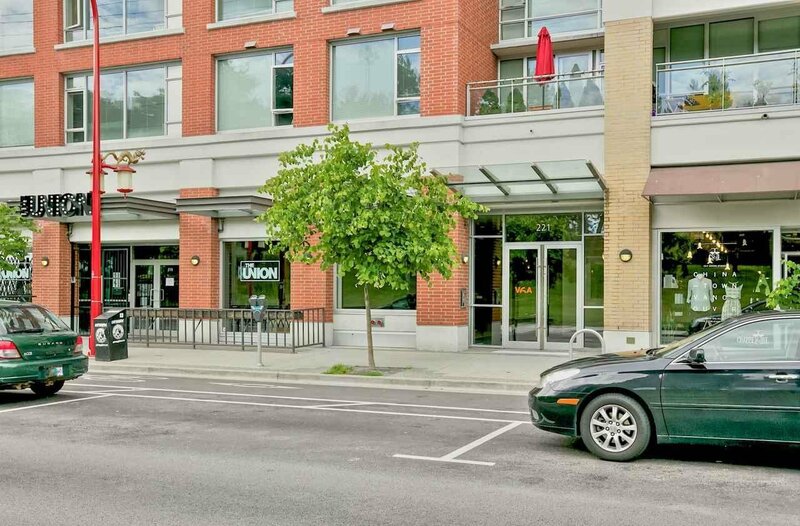 Parking & storage included, pet & rental friendly.